BE CONFIDENT IN YOUR DECISION. Finally, answers for what's really going on with vaccines. 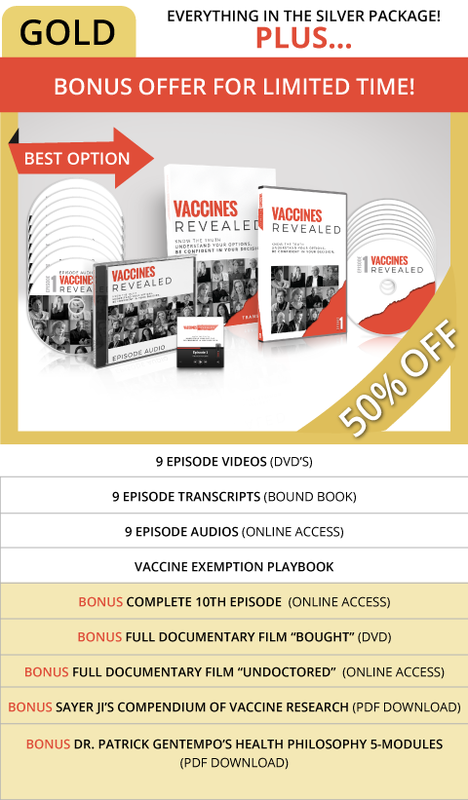 YES, I want to join the Vaccines Revealed movement! “People have asked me, “why are you doing this?“ This isn’t what I wanted to do. But I had a choice. I could put my head down and walk away from it – pretending I didn’t see it. Or, I could get involved and take the risk of doing that. And I have taken those risks and I have endured what came along with it, but I have endured it happily. 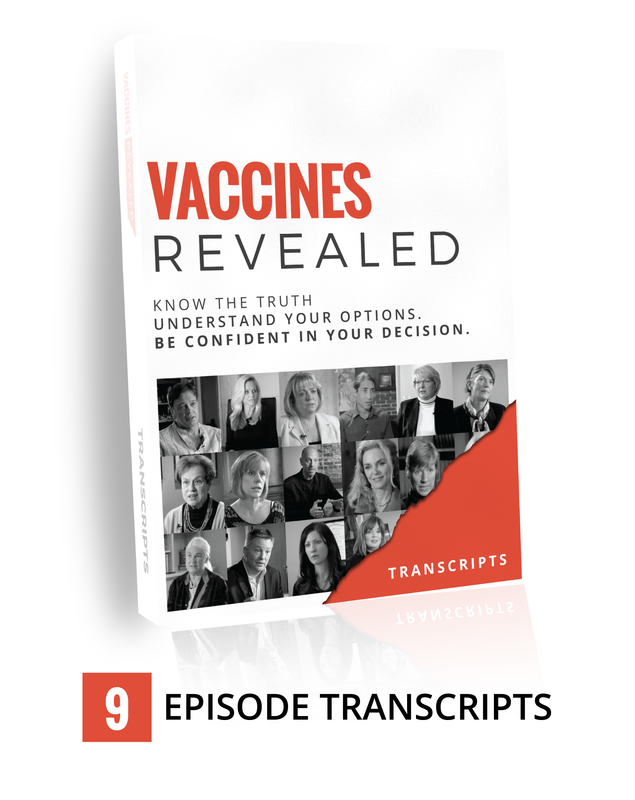 This very real, very necessary 9-part documentary series includes the experiences of doctors, scientists, researchers, legal experts, champions, parents, as well as those living with vaccine injuries and their families. By sharing this information with you, we hope you are able to clearly understand your rights on vaccinating yourself and your children. 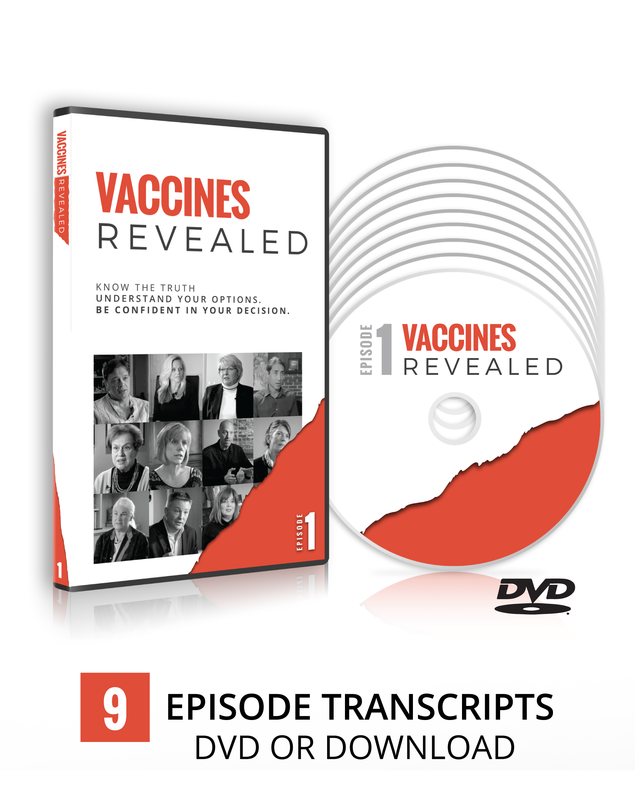 After watching “Vaccines Revealed,” you will have the answers to your vaccine questions, and most importantly, confidence in your vaccine decisions. YES! I I WANT TO SUPPORT THE VACCINES REVEALED CAUSE! Limited time discounts and bonuses for our supporters. ARE YOU CONFUSED ABOUT VACCINATION? Vaccines are a high, controversial discussion point, and chances are if you have wondered about vaccinating your children, others are too. Do you know anyone who is concerned about vaccination? Perhaps you know a friend, another parent, a family member, co-worker, or a neighbor who is wondering whether or not vaccination is right for their family. 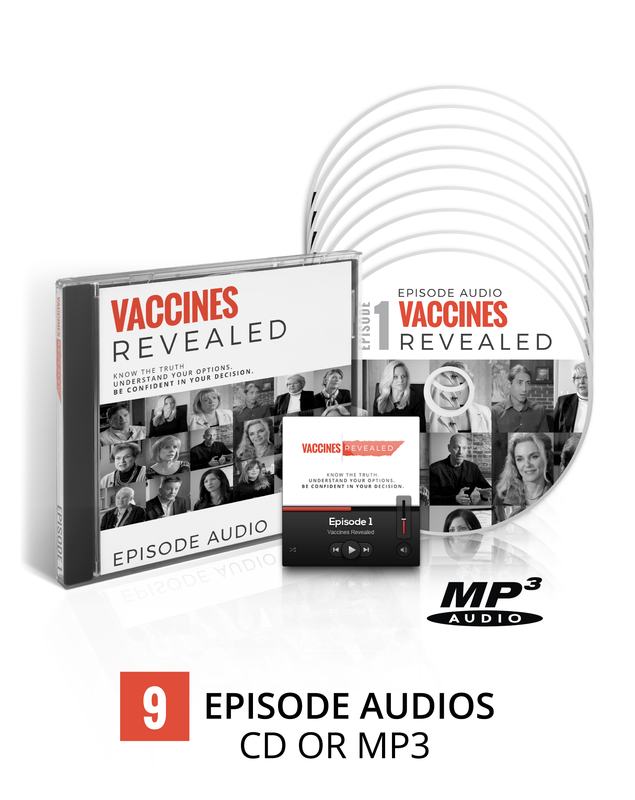 Why is the topic of vaccines so difficult? It’s been made difficult by the inconsistent, disagreeing, and downright lying so-called “experts” promoting their own agenda. We, as citizens and parents must know the whole story – the truth. We will not stop until the entire world is educated and empowered with the knowledge revealing the truth about vaccines. Will you join us in educating the public about their right to medical freedom? Mandatory vaccinations are about to open up a new land-grab for government control. Other medical issues seem to pale in comparison to forcibly medicating millions against their will. Voluntary and informed consent are essential in our individual rights, and without it, we do not possess true freedom. Autism and Autoimmune diseases have become epidemic. We must band together and turn the tide and improve testing, communication and choice. The “anti-vaxxers” are just as embattled about the drawbacks and side effects of vaccines and safety concerns regardless of the fact that vaccines have done some good. This all or nothing dynamic that exists with the vaccine hubbub is completely polarizing. It’s preventing reasoned, true information from being shared. It seems as if either you accept the CDC’s recommended 69 doses of 16 vaccines between birth and age 18, or you want to single handedly bring back measles, polio, and probably the black plague. We’re on a mission here, and we need your help. JOIN DR. PATRICK GENTEMPO AND THE WORLD’S LEADING EXPERTS AS WE EXPOSE THE TRUTH BEHIND THE LARGEST HEALTH EXPERIMENT… EVER. “There is an urgent cultural problem where there exists extreme conflict, contention and confusion regarding one of the most significant and controversial health debates of our day, forced vaccination. This has resulted in unprecedented oppression where government regulators, working unethically with multi-billion dollar pharmaceutical companies, have violated the rights of parents in deciding whether or not they want to inject potentially dangerous and at times lethal vaccine substances into their children. Further, the rights of health care professionals to speak freely regarding their views of vaccines have been trampled on with the threat of ridicule, censure and de-licensure. Additionally, workers are being forced by their employers to subject themselves to vaccines and the media has attacked anyone who questions today’s compulsory use of vaccines. Save the lives of those you care about and change the world around you. 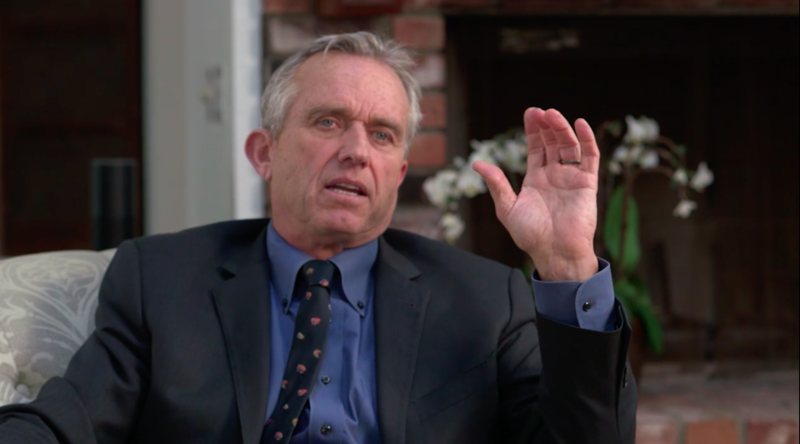 MEET SOME OF THE EXPERTS FEATURED IN "VACCINES REVEALED."